Yes, we're living in 2018, and there are dog report cards. It's a thing. Essentially, someone writes down what your dog does all day and how they behaved, and it's adorable. Today I got to meet so many dogs. They showed me the best toys to play with. I loved all the cool toys they have here. 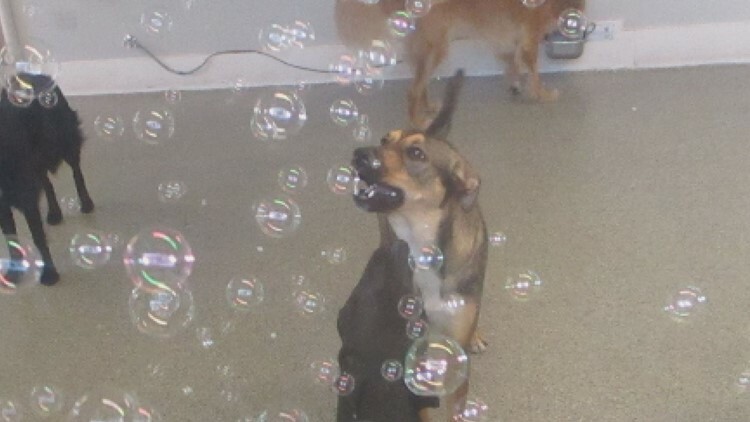 There is also a bubble machine! How cool is that? I loved trying to eat them and popping them with my snout. After a while of playing with all my new friends I found the perfect spot to sunbathe and take a nap so I could have the energy to play with all my friends. My best friends today were Mogul and Chaco. 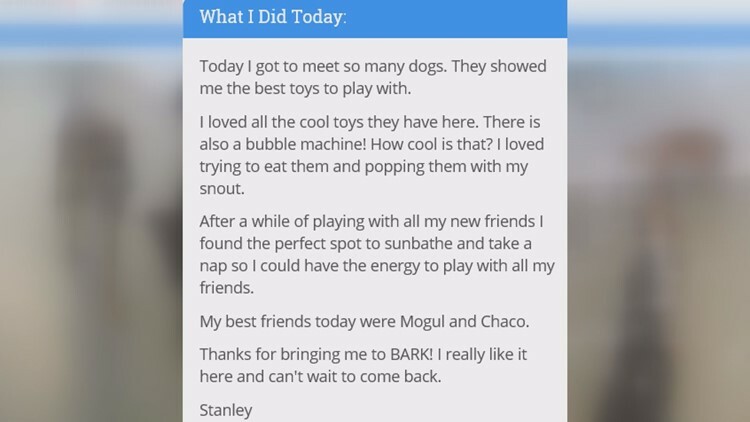 Thanks for bringing me to BARK! I really like it here and can't wait to come back. Bailey Zervas works at BARK!, a doggy daycare in Denver, and her job is to actually write the report cards. She looks at reports from the dog handlers and puts a creative spin on them, even writing the synopsis in the perspective of the dog. "I went to a creative arts high school," she says. "I've always had a drive for poetry and stuff, so it's really cool to find a job that, not only do I work with dogs, which I love, but I also get to incorporate my creativity." Zervas does work full-time, but the post cards are only part of the gig; she writes up to five a day. This may be the best job ever. Hear from Zervas in the video above.